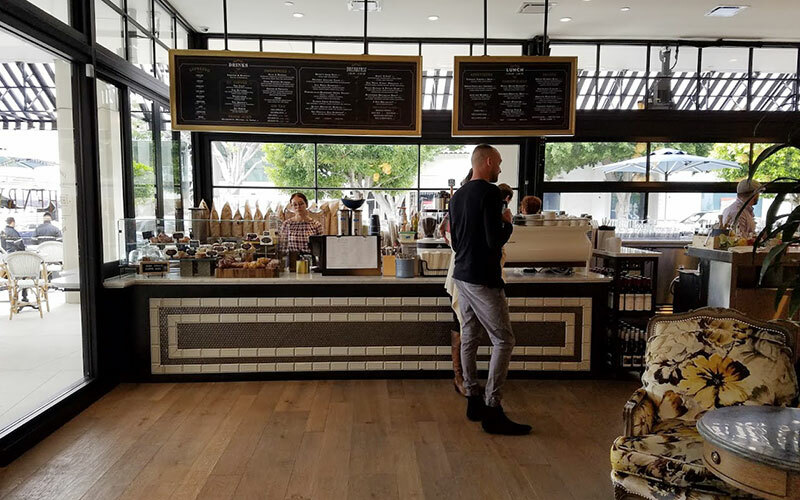 When you first walk in, you’ll see the coffee counter where you can grab your morning latte or afternoon snack to-go. You can also snag a seat and hang for a while. The Henry’s bar is so spacious and pretty. 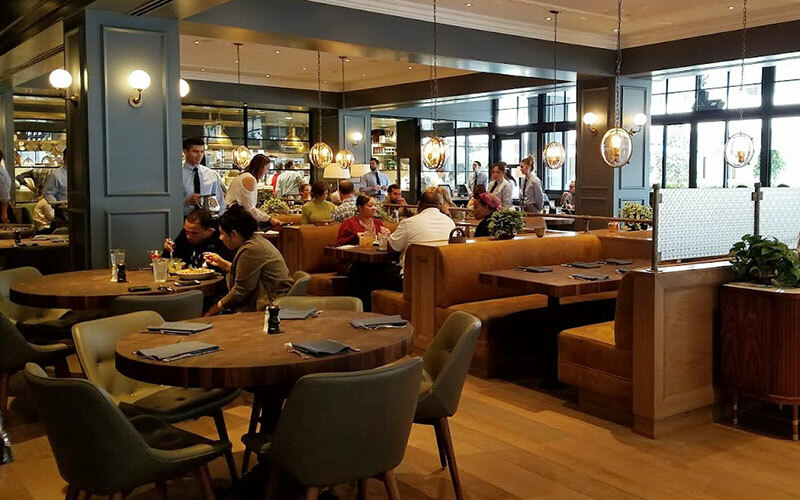 I love the tufted seats and #urbanjungle elements with so many plants throughout the restaurant. 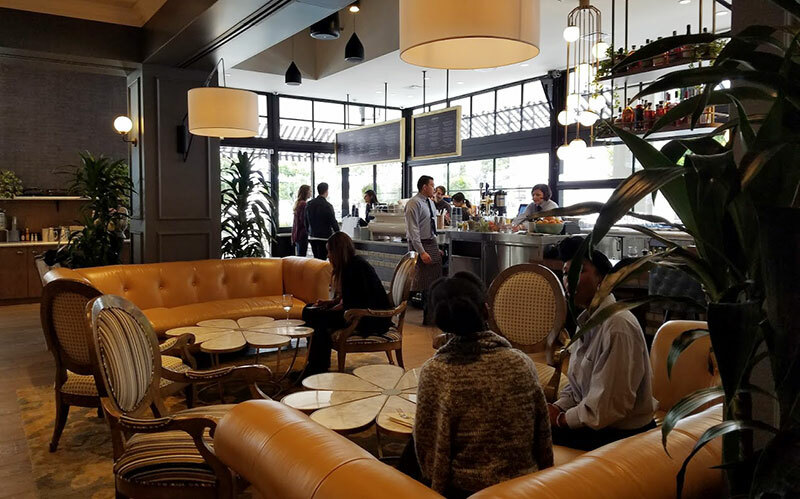 Also loving the windows that look out onto Robertson Boulevard and the cascading globe light fixtures, which remind me of the dining room chandelier I bought from West Elm. 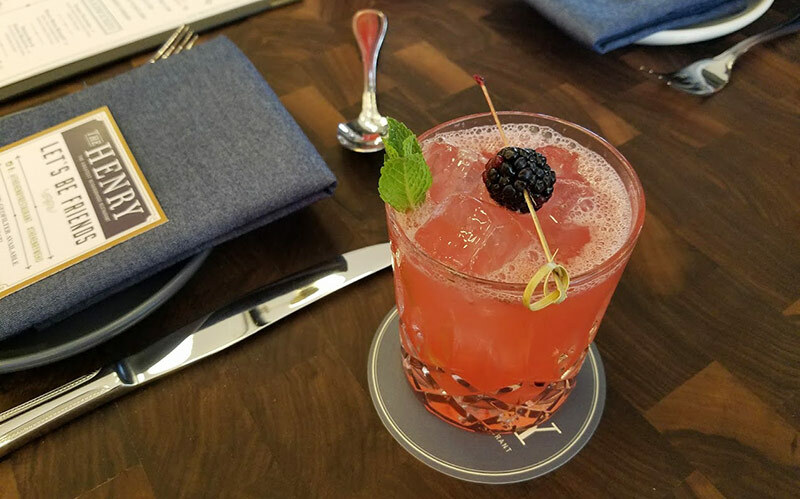 We started our lunch with a sip of the Blackberry Bramble made with vodka, French rhubarb, mint and fresh berries. It’s deceptively smooth and perfectly fruity, so be careful. After two sips I was done! Vegetable crudités served atop the most deliciously whipped, creamy and flavorful hummus I’ve ever had. 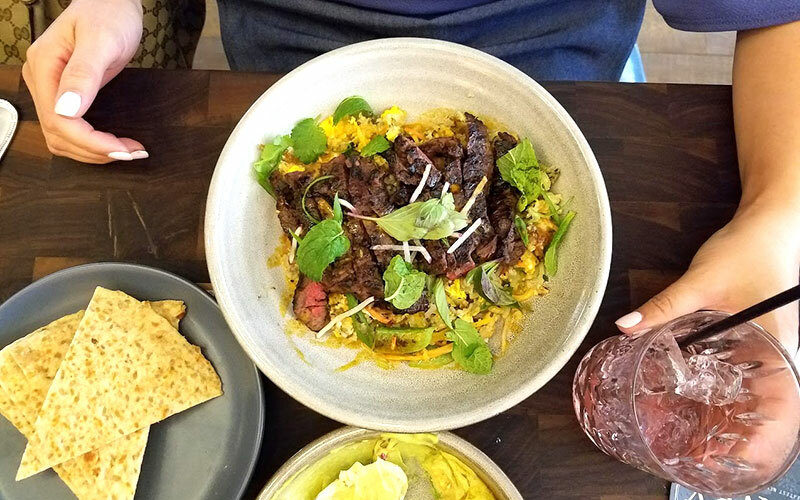 You can’t see it in this photo, but it’s worth going back for that hummus alone. 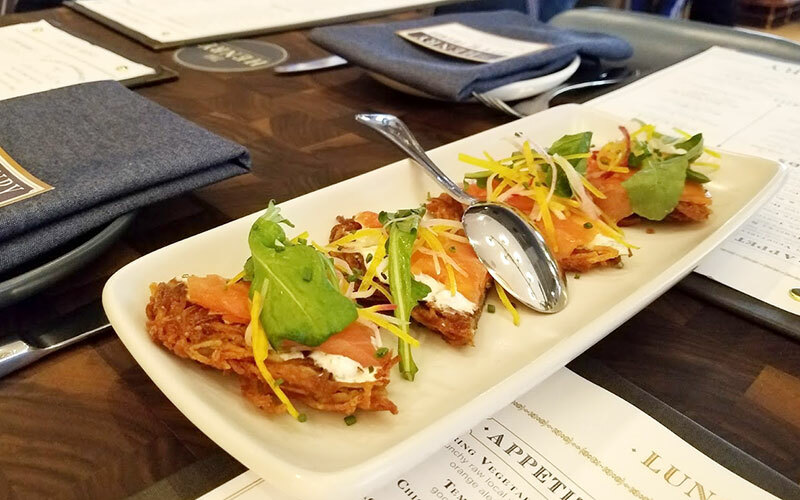 Another appetizer must-have: Smoked Norwegian salmon on hashbrown with creme fraiche and arugula. The main dining room is so much larger than it appears in this cropped photo, but you can see the huge exhibition kitchen in the background. 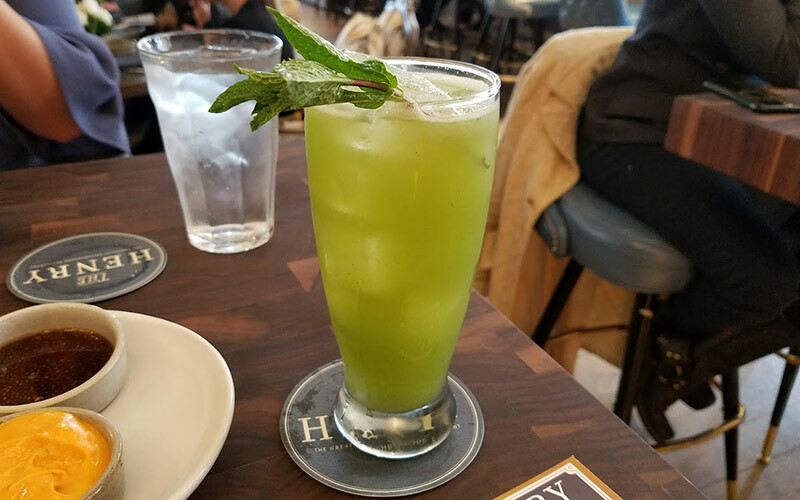 After a couple sips of that intoxicating cocktail, I had to tone it back with this housemade soda of English cucumber, mint and lime. So refreshing! 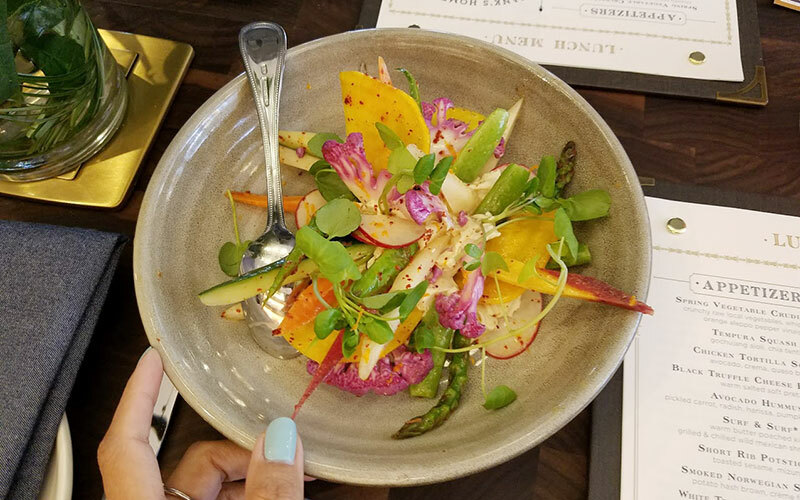 The Spring Harvest Bowl is a vegan and gluten-free must-have. 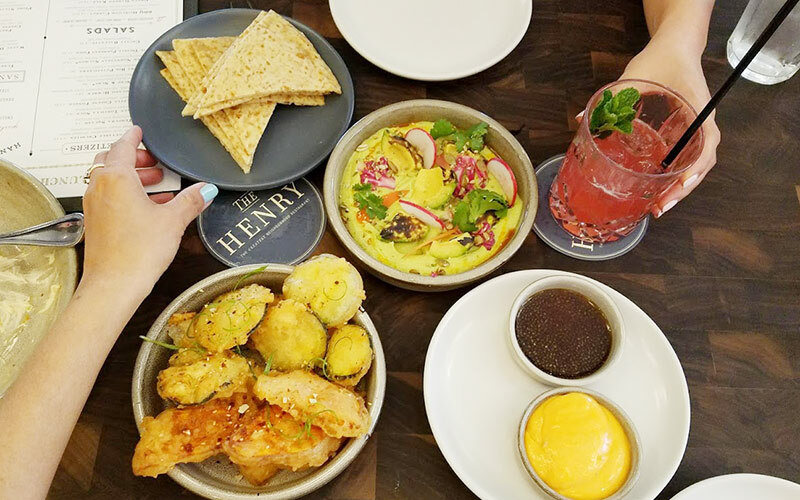 I love that The Henry’s menu clearly indicates which items are vegan, vegetarian or gluten-free. 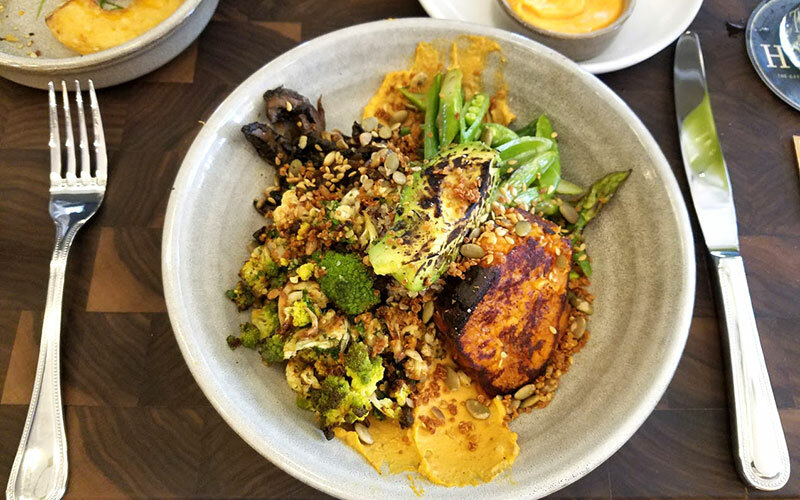 This bowl features melted sweet potato, quinoa, grilled portobello, caramelized cauliflower, snap peas, avocado, marcona almond pesto, harissa emulsion (gives it a kick! ), roasted pepitas and flax seeds. 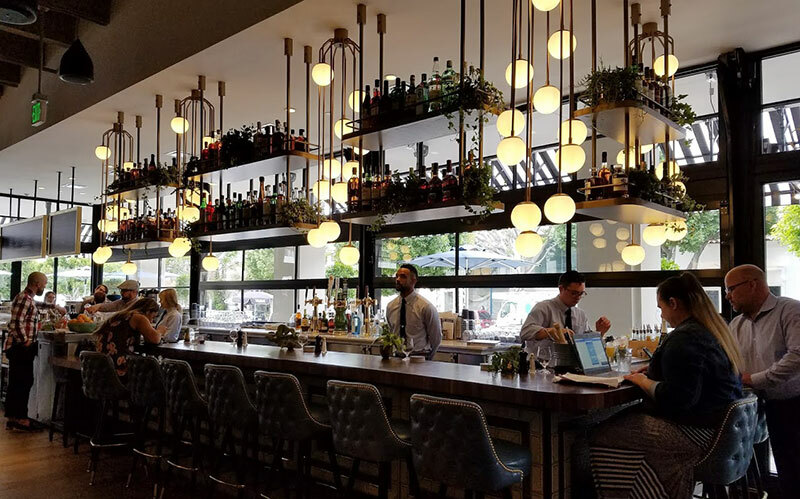 I definitely didn’t order the short rib and English pea ravioli with horseradish cream, arugula and Parmigiano Reggiano, but my friend said it was amaze. 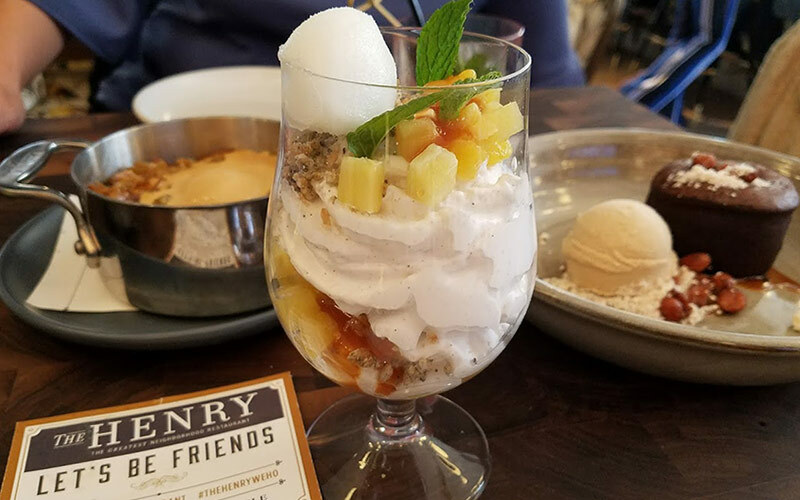 Can you say VEGAN coconut & pineapple trifle?! I was convinced this wasn’t vegan even though it said so on the menu, but the chef verified that indeed it is. Wow. Coconut mousse, roasted pineapple, sesame crumble and lime sorbet. Yes, please! Not vegan: Peanut butter moelleux comprised of dark chocolate cake, caramel, peanut butter gelato and toasted peanuts. 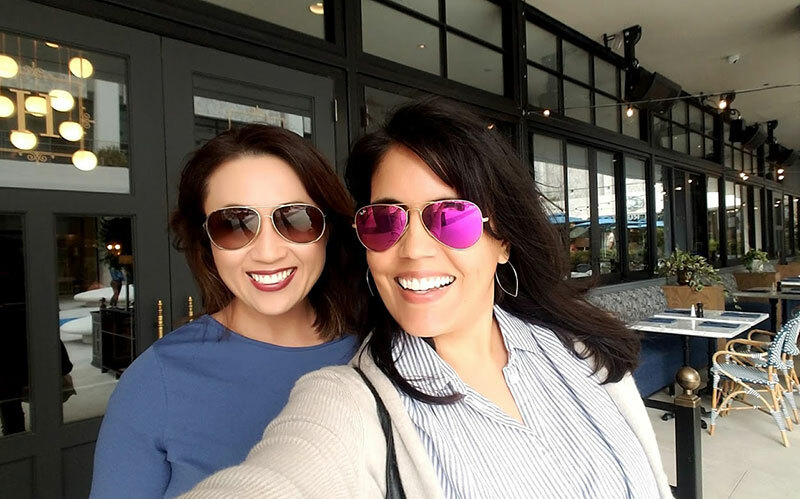 Now you know why we have such big smiles on our faces 🙂 Can’t wait to go back! 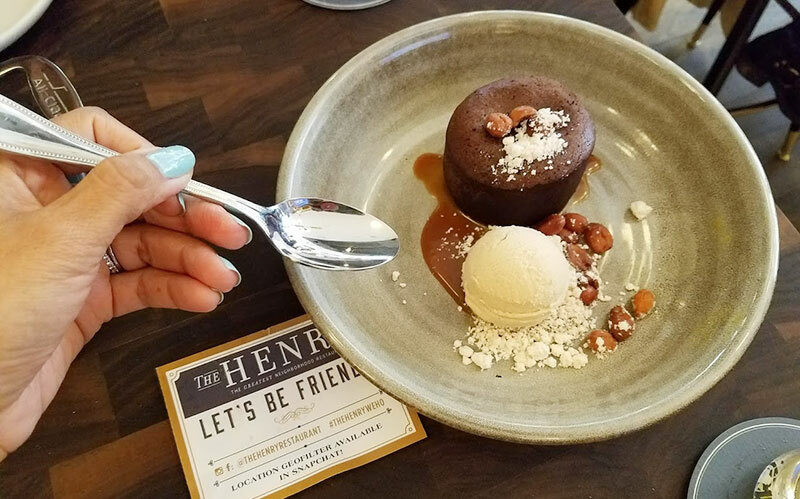 For more info, be sure to check out The Henry West Hollywood. I want to go here. Great photos and details! ← I Love You, Dad. A Tribute to My Father.